Amazing art works by Brycen Horne available form Etching House, Brycen Horne has released several fine art limited edition hand signed prints titled, Taking Form, Touching the Surface, Welcome to the Ocean Floor, Bronte’s Dusk, Enjoy, Harbour, Man in Storm, Drifting, Lay buy payment plan is available from Etching House. All Brycen horne fine art prints are made on pure archival Hanemuille rag paper, These genuine artist papers made of 100 % cotton or pure alpha cellulose present smooth and textured surfaces and are provided with a matt Premium-Inkjet coating. This special coating permits high quality printing. These Brycen Horne print works are available framed or unframed, Brycen Horne fine art Giclee limited edition prints can be framed in white 42×35 timber with a conservative width rag mat, weight bottom, 3mm acrylic at Etching House. Brycen Horne’s new works are inspired by the season and location. A study of the last two years winters and autumns. Searching for light in the dark afternoons, “where I have found comfort in being alone. Taking the time to observe and capture places that were once familiar to me, looking again, seeing them for the first time”. From Bondi, Clovelly and Coogee. 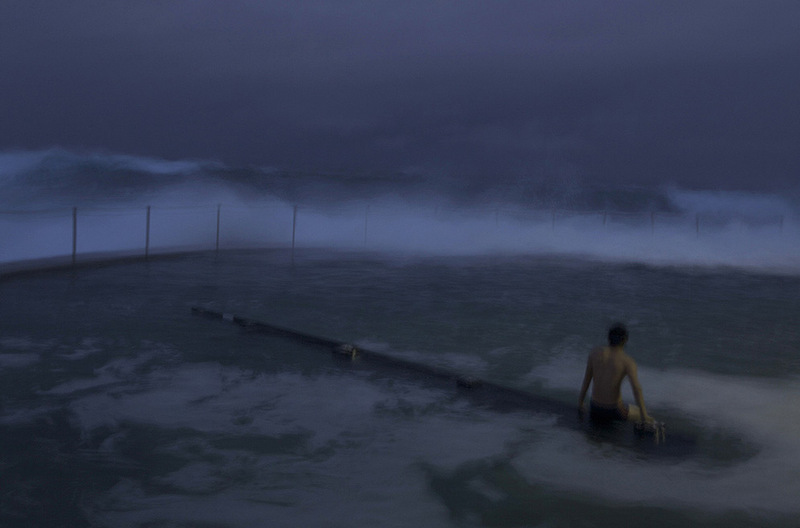 Storms out at sea from Tamarama and Gerroa where he grew up as a young surfer inherently connected to the ocean. Brycen Horne Australian pure Fine art photographic prints are Hand Signed by Brycen Horne and limited numbered in edition to only 10, these Brycen Horne photographic prints are now available at Etching House, size being 70cm x 120cm, 95cm x 133xm paper size, custom size is available, Up to 12 Months lay is welcome on 20% deposit, these fine art Giclee printed photographic artworks are available framed or unframed, shipping is available with in Australia and Overseas. Brycen Horne fine art Prints are made on pure archival Hahnemuhle rag paper using pigment ink, framing in 42x35mm white timber and a conservative width rag mat to maintain a balanced perspective is the key to keeping the eye on the work of art,.